This week I will be playing the role of an over emotional, slightly irrational almost 40-year-old mother of four who struggles with change. Oh wait, that's my role every week. Ugh. Sorry folks, but this week it's going to be a little more intense. I dropped my two oldest children off in another state and I am prepping to go back in time (to a sometimes not so happy time) circa my 20th high school reunion. 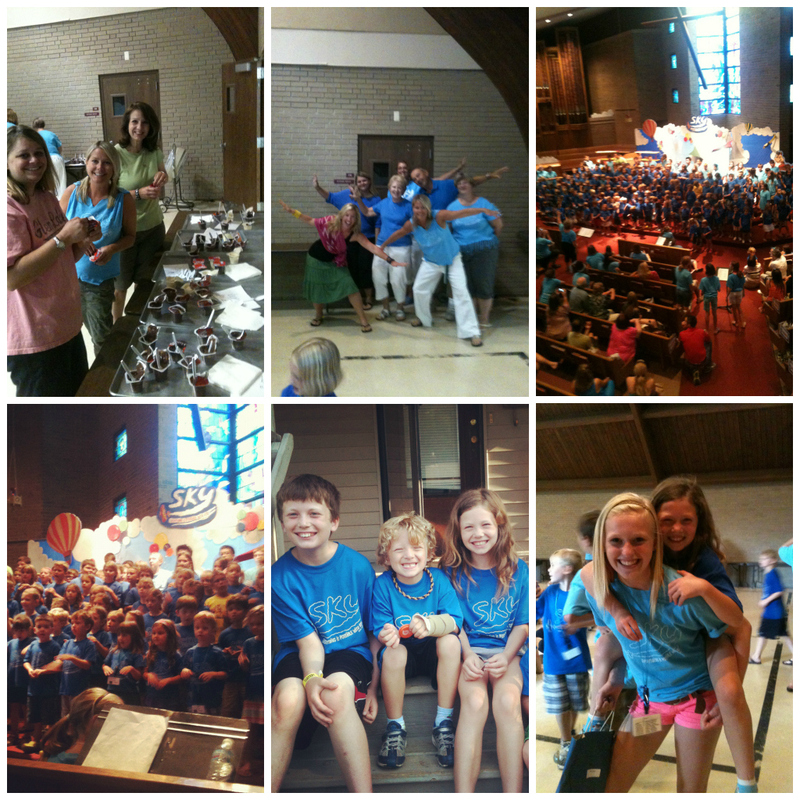 I drove to Pittsburgh, PA straight from closing ceremonies of a busy week of vacation bible school (VBS) at our church. A week where my kids sang sweet songs, made new friends, hung out with old friends, learned mildly (and not so mildly) scary stories about the Crucifixion and made crafts. A week where I ran the snack room and felt like a youth group volunteer hanging with my buddies in the kitchen. Most of the snacks we served were healthy. 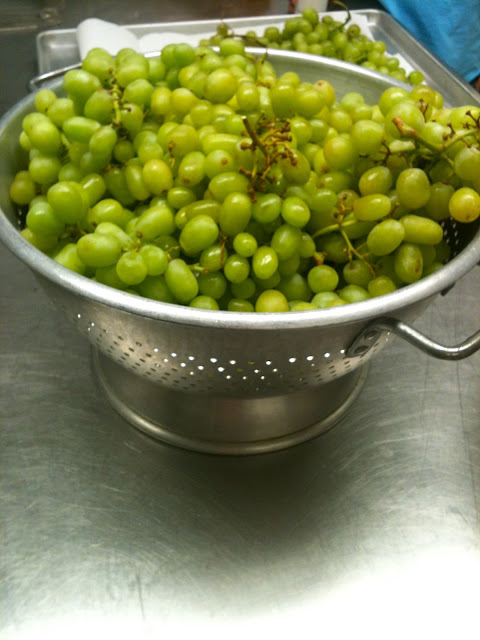 I bought 40 pounds of grapes last week. Okay, the most popular snacks involved spray cheese and other not so healthy options. Armed with our VBS CD, snacks and a slightly better working AC (still no husband who happened to be out of town for work) we headed off for the Burgh where Grandpa Camp awaited my two oldest children. Last year was the first year Peyton and Lucy went away for a week with my dad. It was hard for me, but amazing for them. They have looked forward to going back probably since the day they left last summer. This summer has been an interesting challenge for me as a mother. After JT broke his arm, I went through an "everything is scary, danger lurks everywhere" phase for a couple weeks. I thought I was over it, but my "don't be afraid of living" attitude was challenged within the first 30 minutes of our arrival to Pittsburgh. 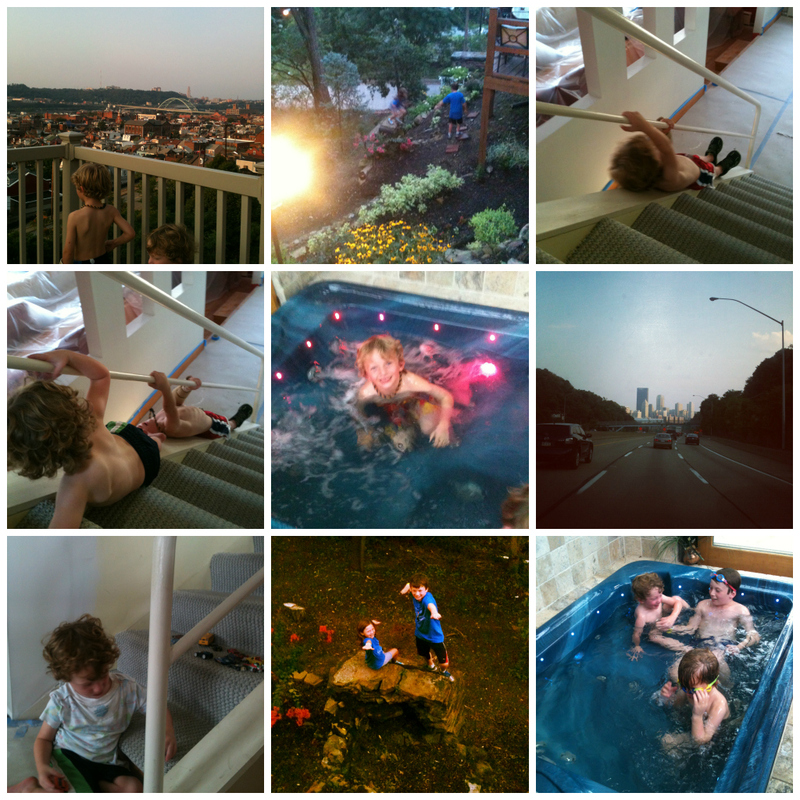 My dad lives on a cliff in the south side of Pittsburgh. An incline car used to carry people up the cliff many, many years ago where his house now sits. There are remnants of those old incline cars/lines still on his property. There is a roof top deck, 30-foot walls, steep staircases, a hot tub and more. These are some of the reasons why Grandpa Camp is only for the older kids. But those older (supposed to be wiser) kids proceeded to sit on top of that 30-foot wall upon our arrival. My dad and I knew not to react too excitedly or they might fall. I am not kidding. We had to talk my kids off the ledge. They had no idea of the danger, they hadn't even looked at the other side. How did I raise such not-very-smart kids? I couldn't sleep that night. I couldn't get the image out of my head of what could've been. Then every could've been ever started running through my mind. It was 1 a.m. and I called my husband who was driving home from the airport in Michigan. "Tell me stories of all the dangerous things you and your brothers did growing up," I begged. I needed to hear kid survival stories. He sure gave them to me. Stories of riding 40 mph on dirt bikes with no helmets through the woods at age 10, jumping off the roof of his house, seeing how long they could hold onto the electric fence before being knocked down to the ground with electricity and more good stuff. Kids do scary things, dumb things. It's normal to be not-so-smart. My dad and his wife will love them and look after them, they will be safe. And I am beyond happy that my children get to spend time with my father and make such special memories. They will have the time of their life and look forward to camp next year. And I will dwell in a place of happiness and anxiety, joy and fear. I will walk the line of parenthood (and sanity). As I drove away to head home with my two littlest boys in the van, they asked to hear the VBS music. Reluctantly, I put in the CD and started playing the songs that we heard only 2,035 times the last week. I started singing louder and louder. I cried a little. I felt the music. I felt the lyrics. "Isn't this great kids?" I yelled back. No reply. My little boys were sleeping. I shrugged and continued singing to God to give me strength for the journey home and beyond.